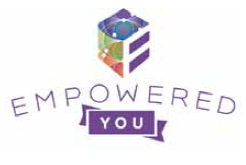 The Empowered You event offers a full day of inspiration, self-discovery, clarity, guided holistic energy-clearings and interactive strategies to empower the attendees from the inside out. All attendees will receive special gifts including several from renowned experts in the energy work field. Cost: $77 until May 5; $97 until June 1. Location: 520 Dublin Rd., Perkasie. For more information, call 215-453-1418, email Heidi@TapIntoAbundanceNow.com or visit EmpoweredYouEvent.com. May 2015. This entry was posted in DEPARTMENTS, NewsBriefs and tagged conference, empowered you, heidi garis, june 2015, may 2015, nb, news brief, tap into abundance by Healthy Living Bucks and Montgomery Counties. Bookmark the permalink.